Grab your popcorn bowls! The newest Bachelorette has caught our attention but she’s not the one on television — excuse me, can I steal you for a sec? 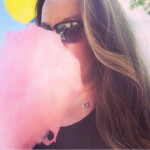 This babe is smart, sassy and so stylish…and, oh yes, she comes from Toronto! She’s turning heads on Instagram and Facebook. She isn’t your stereotypical candidate, but she is very fetching! 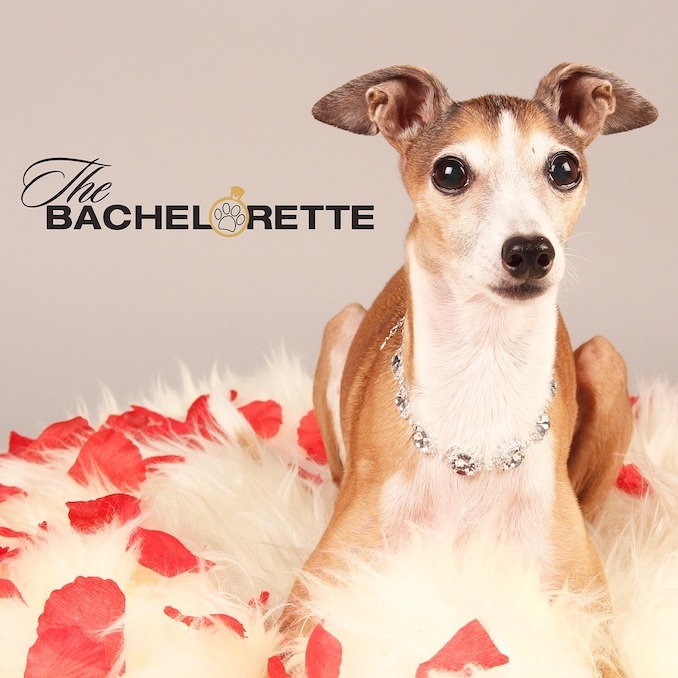 Iggy Chelsea (@iggychelseaandme) is an Italian Greyhound model with a number of suitors vying for one-on-one dates in Toronto. To say she makes tongues wag is an understatement. She’s worldly and not restricting herself to specific dog parks to find the right match for her. 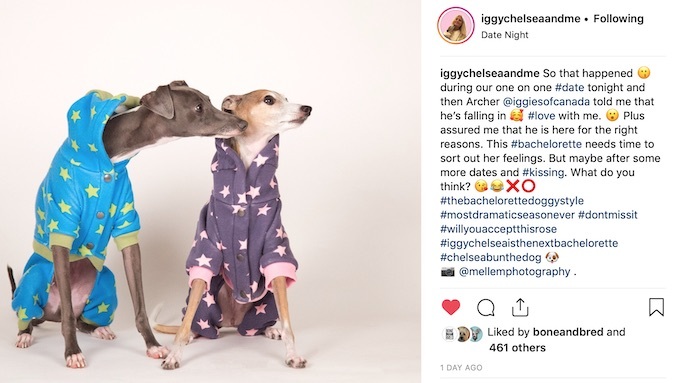 Chelsea’s ideal date night would always take place during a warm summer evening however if it’s a cooler night she gets creative with layering. 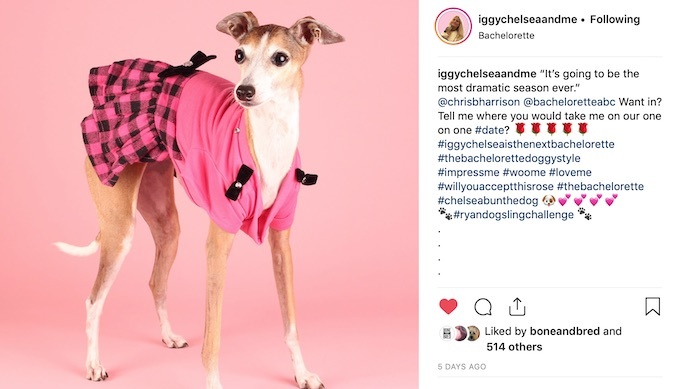 According to her personal assistant, a dog that is not shy to match Chelsea or wear pink will always score points with her. And what’s Chelsea’s perfect date night in the city? 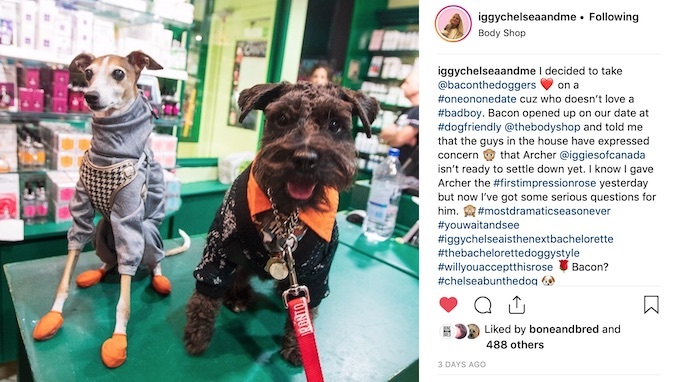 She tells us it would start by trotting thought some local shops where Chelsea is well-known like Urban Outfitters (her business card is on their fridge, apparently), Sephora (where she is a true celebrity), maybe West Elm to chill on their couches and Pet Valu for some treats. Then onto a patio for dinner or Black Lab for drinks followed by massive cuddling and blanket cocoons at home. It seems as though she’s narrowed down her candidates to Max aka @max_i._million , Archer aka @iggiesofcanada , Bacon aka @baconthedoggers and Horton aka @hortonmcsnorton . But who knows? If someone else treats her nicely, she may be convinced to leave the pack. We’re told there will be some surprise guests coming up! Who will get the final rose? 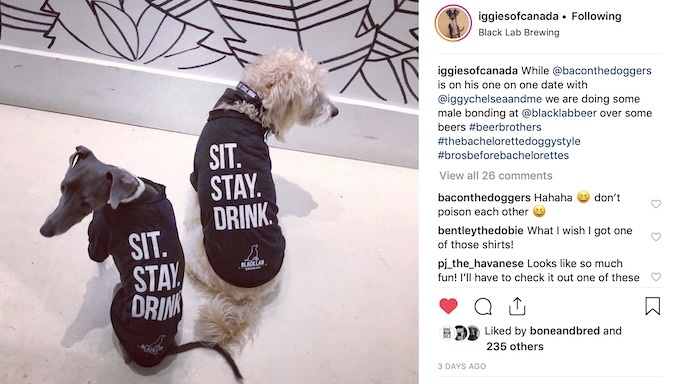 Things are heating up but we’re happy to hear she’s getting a lot of support from her friends @the6ixpackdogs . 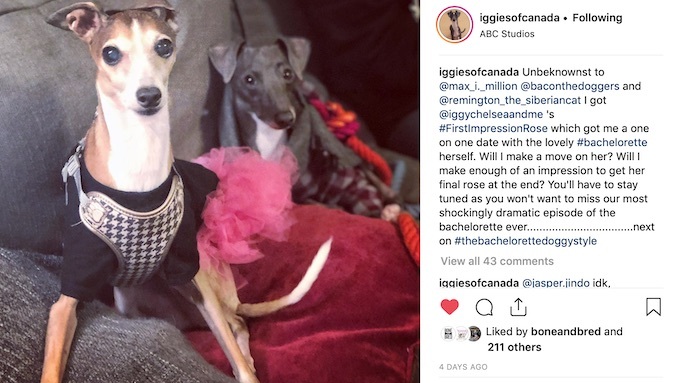 You can watch the drama unfolds in this hilarious series by following the hashtag #thebachelorettedoggystyle on Instagram.